The award celebrates excellence in Bahrain’s hospitality industry and is only given to establishments that consistently deliver outstanding quality, said a statement. Competing with leading hotels in the country, Swiss-Belhotel Seef Bahrain’s recognition came on the strength of various factors including product excellence and high quality of service, management, food, atmosphere and customer care all of which translate into excellent value for money. 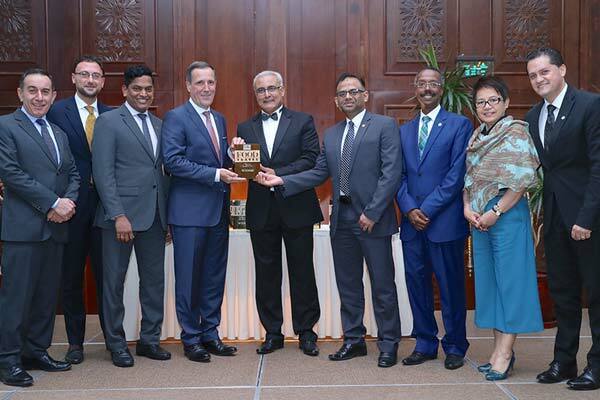 Herve Peyre, general manager, Swiss-Belhotel Seef and area general manager, Bahrain, said: “To be recognised as the ‘Best 4-Star Hotel’ for the third consecutive year as well as receive the coveted trophy of the ‘Best Hotel of the Year’ is a great honour. We are extremely proud of this achievement and attribute it to the hard work and dedication of our team who have been tirelessly delivering the most memorable experiences and excellent value to our guests at every step of their journey. Awards such as these motivate us to do better and we are truly grateful to both the organisers as well as our guests who have recognized and appreciated our efforts”.